Residential appraisers in Portland, OR, and everywhere, often encounter properties that include a house with an additional lot that is available to be divided and used for its own purpose. This is referred to as excess land. There are many ways to handle excess land, depending on the client’s need, quantity and quality of comparable data, and intended use of the appraisal. 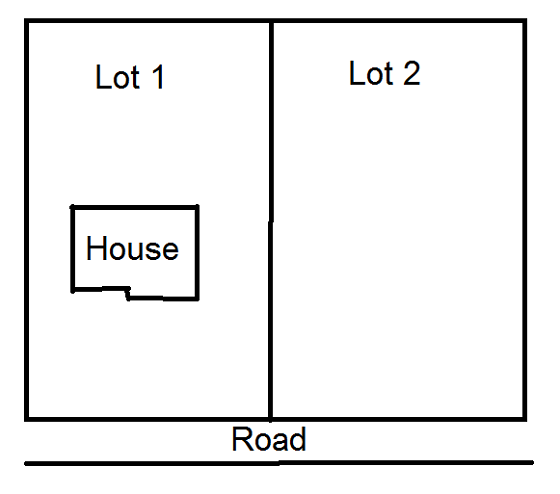 If the house and the extra lot are sold together as a package, the market typically reflects that “bulk sale” in a reduced price compared to selling individually after division. This is considered by appraisers to be a bulk discount and reflects the market reaction to the cost of officially dividing the properties, difficulties financing properties with excess land, future marketing costs, and investor profit that is expected for the risk of owning both. In other words, the value of the excess land, plus the value of the house, is not the value of the entire property. This blog tackles difficult information that the typical buyer needs to understand.